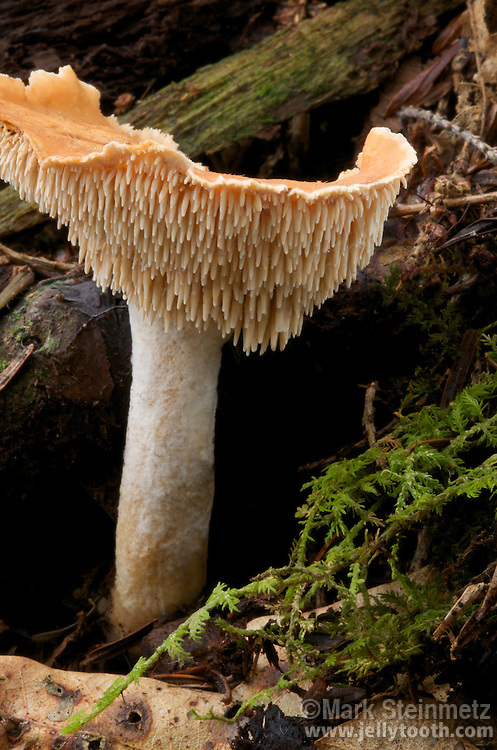 Hedgehog Mushroom (Hydnum repandum). Fertile surface of cap with spines or "teeth", thus grouped with "tooth fungi". Edible. Clear Creek Metro Park, Hocking County, Ohio, USA.